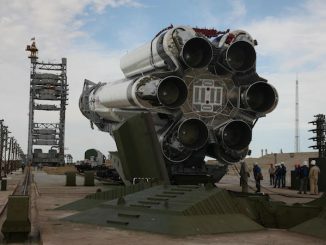 A Russian Proton rocket rolled out to a launch pad at the Baikonur Cosmodrome on Sunday with a commercial communications satellite to broadcast high-definition television channels to millions of homes across Latin America. 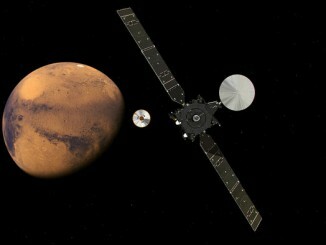 Ground controllers are running Europe’s ExoMars orbiter through a post-launch checkup a week after its successful liftoff aboard a Proton rocket, and a first look at the probe’s systems has revealed no problems, the mission’s flight director said Tuesday. 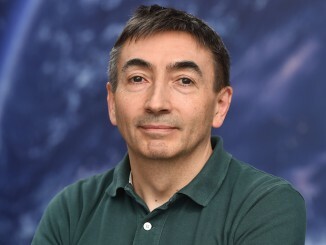 Michel Denis, flight director for Europe’s ExoMars mission, spoke with Spaceflight Now on March 22 about the status of the spacecraft a week after its blastoff from Kazakhstan en route to the red planet. 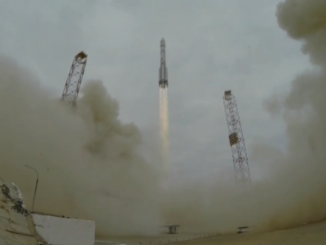 Take a look back at the fiery blastoff of a Russian Proton rocket Monday with the ExoMars 2016 mission to examine the red planet’s atmosphere and test new European entry, descent and landing technologies. Boosted off planet Earth by a Russian Proton rocket, a European-built space probe departed for Mars on Monday, beginning a mission to test future landing technologies and search for methane, a potential signature of microbial life. 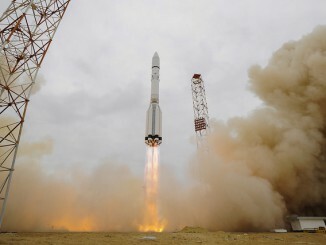 A massive spacecraft bound for Mars lifted off on a Russian Proton rocket Monday, riding more than 2 million pounds of thrust from the launcher’s six main engines through low clouds hanging over the Baikonur Cosmodrome in Kazakhstan. 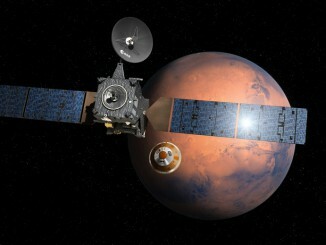 It will take more than 12 hours from liftoff of the European Space Agency’s ExoMars Trace Gas Orbiter until engineers verify the mission is on track for Mars after a series of critical in-space maneuvers by the Proton rocket’s Breeze M upper stage. 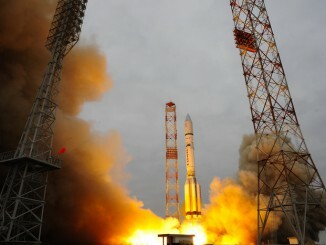 A powerful Russian Proton booster launched from Kazakhstan at 0931:42 GMT (5:31:42 a.m. EDT) Monday with the first part of a multibillion-dollar Mars mission led by the European Space Agency. 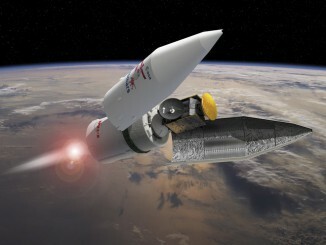 An upper stage engine fired four times over 10 hours to send the Mars orbiter and lander away from Earth. Humankind’s largest emissary to Mars in a generation is set for blastoff Monday, when Europe and Russia will dispatch a mission to unravel the mystery of Martian methane. 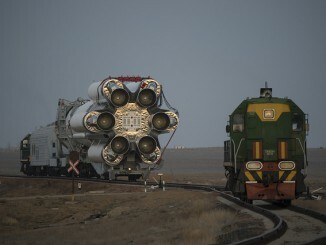 A Russian Proton rocket rolled out to its launch pad at the Baikonur Cosmodrome in Kazakhstan on Friday, riding a specially-built rail car with Europe’s ExoMars mission bound for the red planet.